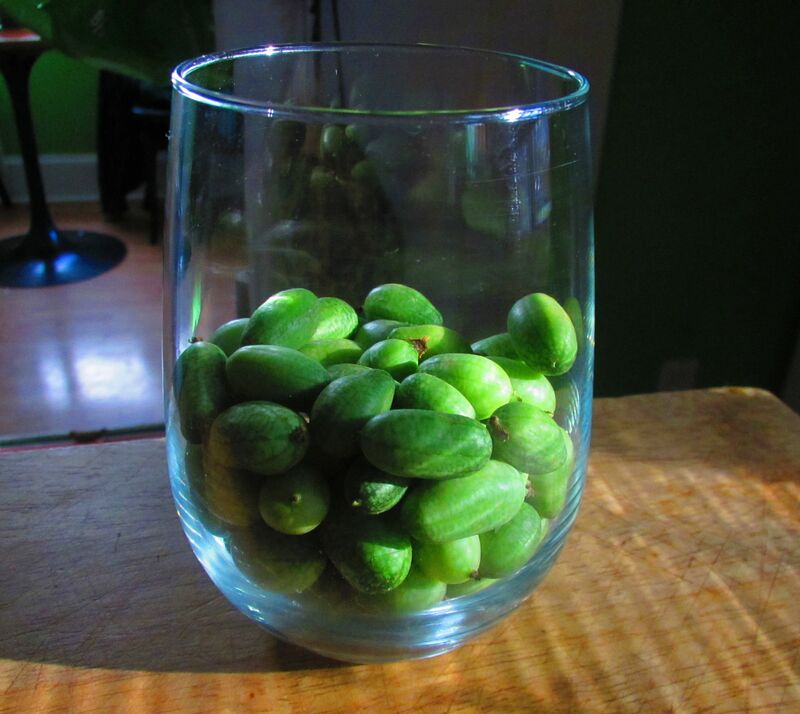 These mysterious mini cucumbers were sitting all lonesome on the organic farmer girls’ table, so I adopted them as pets – pets that I will pickle and eat in salads and on sandwiches. This entry was posted in compote something, Flowers in a Frothing Green. Bookmark the permalink.